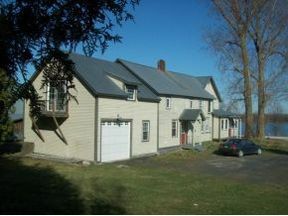 For more information or to make an appointment to see this property call Dahan at (802) 777-9799. A Lake Champlain Artistic Masterpiece. Over 500 feet of shore line, barn, cottage and a 5-bedroom, 4-bath English Country Estate with the most incredible woodwork and features. This home is designed as 2 homes in one. Strong rental history. World class fishing, boating, 18-hole golf course. Located between 2 marinas, protected moorings, private air strip. This is one of the most unique homes. Classic Vermont style, peace & serene setting. This estate offers so much. Vermont living at its most artistic - a must see.